A SpaceX Falcon 9 rocket is poised for liftoff from Florida's Cape Canaveral on Wednesday with NASA's Transiting Exoplanet Survey Satellite - TESS. Riding on a factory-new Falcon 9, the 362-Kilogram TESS spacecraft is aiming for a half-minute launch window to set sail on a high-energy delivery into a highly elliptical orbit peaking some 270,000 Kilometers above the planet from where the mission will go through a precisely timed orbital ballet to end up in a unique lunar-resonant orbit. 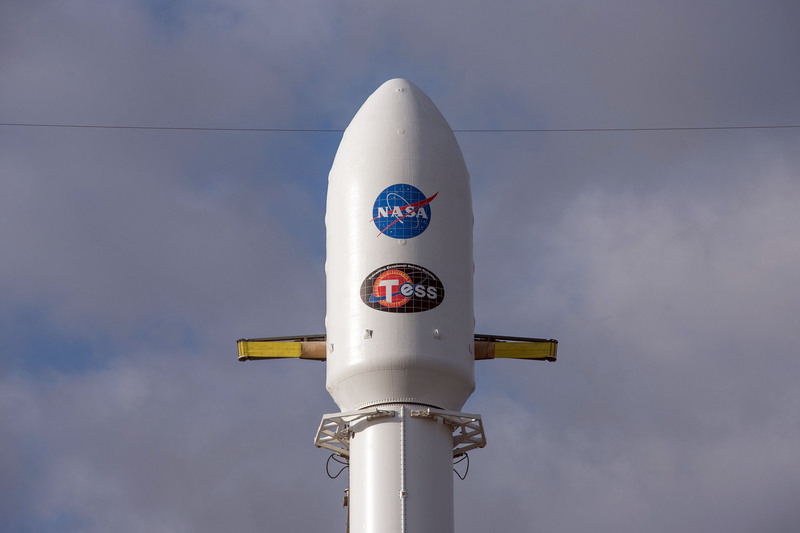 From there, TESS will complete the first-ever (nearly) all-sky survey to detect the signatures of exoplanet transits. Hosting four cameras with highly sensitive detectors, TESS will conduct a systematic survey of the sky over the course of a two-year primary mission - expected to tally up in excess of 10,000 new exoplanets including some 500 Earth-sized and Super Earth planets. Focusing on astronomically close stars, TESS will primarily identify exoplanets that are easy to study with currently existing methods - allowing their properties like atmospheric makeup to be revealed in order to single-out potentially habitable worlds.